Platinum jewelry. A platinum watch. Nothing says you’ve reached the top like platinum. 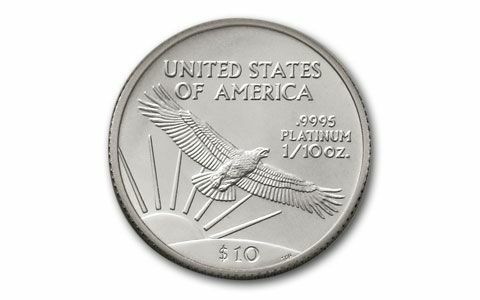 When it comes to U.S. coins, the very pinnacle is the Platinum Eagle. Its design fits its status. 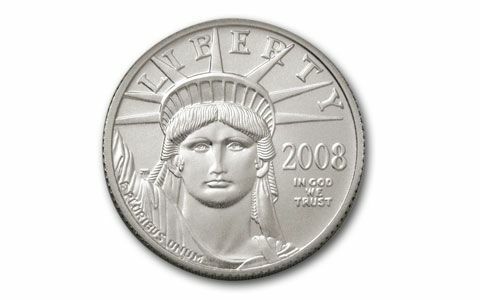 On the obverse, the head of the Statue of Liberty fills the coin. 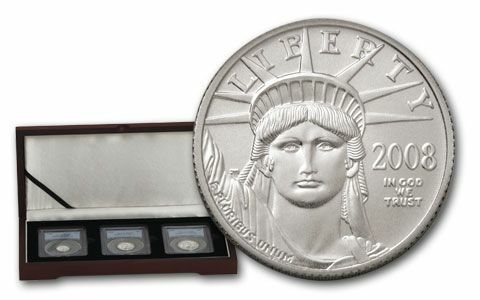 Designed by John Mercanti, the 12th chief engraver of the U.S. Mint, many believe this image of Lady Liberty to be the most spectacular rendition ever to appear on a coin. 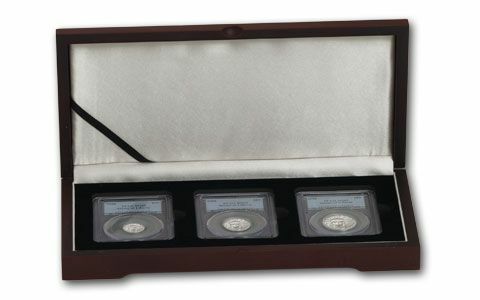 This 2008 Platinum Eagle 3-Coin Collection contains the $10 Tenth-Ounce, $25 Quarter-Ounce and $50 Half Ounce. That’s nearly an ounce of 99.95% pure legal-tender U.S. platinum! 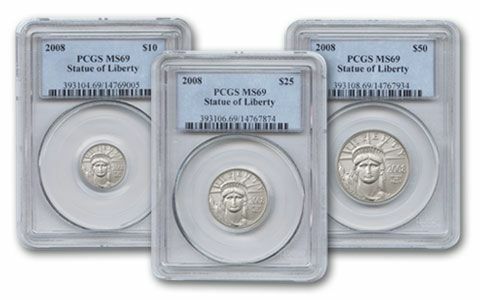 Each coins grades Mint State-69 (MS69) by Professional Coin Grading Service (PCGS). The set comes in a deluxe presentation case. Secure your Platinum Eagles now!